We use only quality, durable materials from the best manufacturers in the industry. You'll rest soundly knowing you've got a reliable, long-lasting roof sheltering your family every night. All materials we use come with manufacturer warranties and our signature Palmer Roofing Promise. As your trusted roofing advisor, we'll customize the right products and solutions that match your unique needs and budget. And because we're not driven by commissions or supplier minimums, we aren't interested in upselling you to an expensive product you don't need. 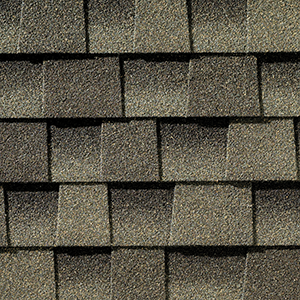 We typically recommend our clients choose shingles and weather-proofing materials by American-made GAF. We also install other manufacturers' materials including Malarkey, Certainteed, and others. GAF is the leading shingles manufacturer in the US, and we're proud to be a GAF Certified residential roof installer. Not only are GAF products top-quality and durable, but they also come with the best warranty in the industry when installed by a GAF Certified installer like Palmer Roofing. Our GAF limited lifetime warranty covers labor and materials for as long as you own your home and is also transferrable. Unlike other GAF installers, Palmer Roofing covers the cost of this GAF warranty for you. It's tough to beat a warranty like this! We also proudly install Malarkey brand shingles. Check out their beautiful family of products. We also install skylights and prepare overhangs and eaves for gutter enablement.